Pruitt’s EPA Confirmation Vote this Week? Environmentalists are cheering about it. Others say it will hurt the region’s economy. 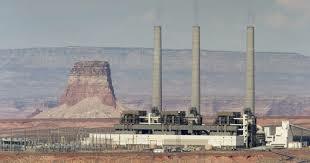 They are reacting to the vote taken Monday by the owners of the Navajo Generating Station to close the largest coal plant west of the Mississippi River. In two years, the coal plant in northern Arizona will be shut down by The Salt River Project. The closing will also be 25 years earlier than expected and it means nearly 800 jobs will be lost, both at the power plant and at the coal mine. While the owner had discussed such a possible move, it still comes as something of a stunning move for those who live and work in the region north of the Grand Canyon. It also is reflective of how much falling natural gas prices have changed the landscape of the country’s power sector. 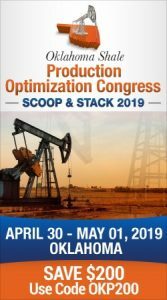 Owners of Oklahoma coal-fired power plants are experiencing similar decisions to convert to natural gas. The four utilities that own a stake in the plant cited falling gas prices as the reason for their vote. “SRP has an obligation to provide low-cost service to our more than 1 million customers, and the higher cost of operating NGS would be borne by our customers,” said Mike Hummel, a deputy general manager at the Salt River Project. While some wonder what the impact will mean for the regional economy, environmentalists are applauding the move and apparently giving little thought to the economic impact on families. “Coal plants like Navajo Generating Station are increasingly a burden for customers across the West as cheaper sources of power push coal out of the market,” said Bill Corcoran, the Western director of the Sierra Club’s Beyond Coal Campaign. That message was echoed by local activists, who have long complained that the plant and associated coal mine have polluted local air and water supplies.